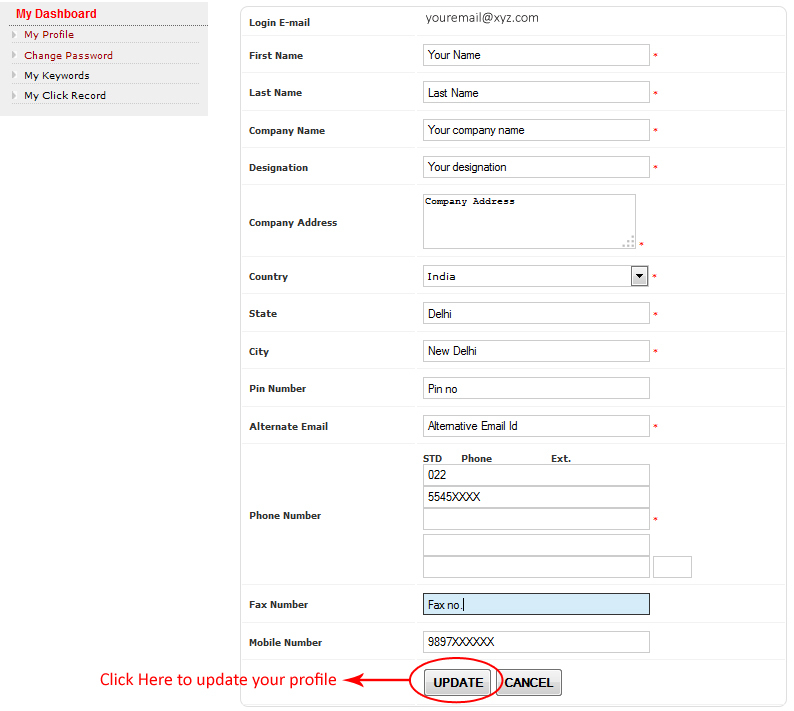 Updating your profile is very simple and easy. You jsut need to login to your account by the User Id and Password provided by us. 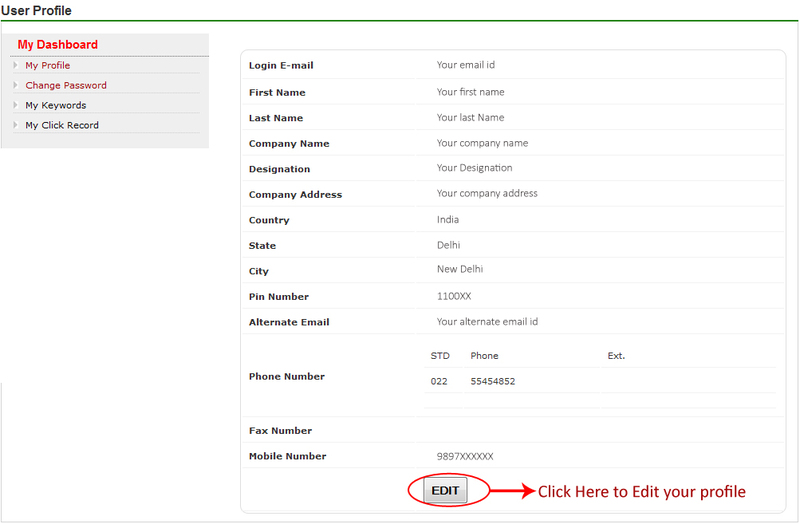 After login to your account there is a link by the name of MY PROFILE . On click on this link you will be redirected to the page from where you can update your Profile. You can make changes to your profile and then you have to click on Update My Profile..
You just need to Click on Edit My Profile then you will be redirected to the page from where you can edit your profile.